Tenth annual Missouri National Archery in the Schools Program state tournament sends hundreds to nationals. JEFFERSON CITY, Mo. – The tenth annual Missouri National Archery in the Schools Program (MoNASP) state tournament held March 23-24 in Branson drew 3,132 student archers in grades 4-12 from a record setting 140 schools across the state. 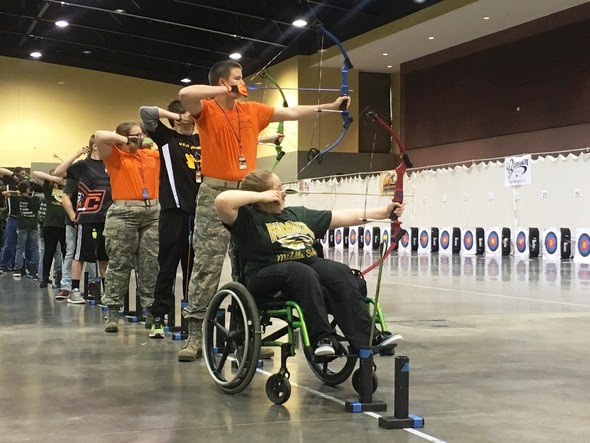 Winning teams and individuals, along with other teams and individuals who had qualifying scores, will go on to compete in the National Archery in the Schools Program (NASP) tournament in Louisville, Ky., on May 10-12. MDC’s Education Outreach Coordinator Eric Edwards, who coordinates MoNASP, said this year’s tournament was the largest one ever. “To put the size of the state tournament in perspective if you laid every arrow end-to-end that was shot at the tournament, they would stretch 111 miles,” Edwards said. 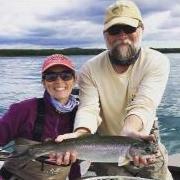 MoNASP is coordinated through the Missouri Department of Conservation (MDC) and the Conservation Federation of Missouri in partnership with 670 participating schools and numerous supporting organizations throughout the state. More than 185,000 Missouri students in grades 4-12 participate in MoNASP. Edwards noted this year’s MoNASP state archery tournament, hosted by MDC and the Missouri Conservation Heritage Foundation, drew more than 10,000 spectators. The top overall archers this year include Norwood R-1 sophomore Savannah Sadler, who shot an impressive score of 295 out of 300. Top overall male archer was Helias High School’s sophomore Jacob Wankum, who shot an impressive score of 292 out of 300. George Guffey Elementary once again continued its dominance by winning the team division again this year. For complete MoNASP state bullseye tournament scores go to: https://nasptournaments.org/TournamentDetail.aspx?tid=3361. For complete MoNASP 3d state tournament results go to: https://nasptournaments.org/TournamentDetail.aspx?tid=3360. MoNASP is an affiliate of NASP and promotes education, self-esteem, and physical activity. Since NASP’S beginnings in 2002, more than 10 million students have participated in the program through 10,000 schools in 47 states and 10 countries. For more information on MoNASP, visit mdc.mo.gov/monasp. 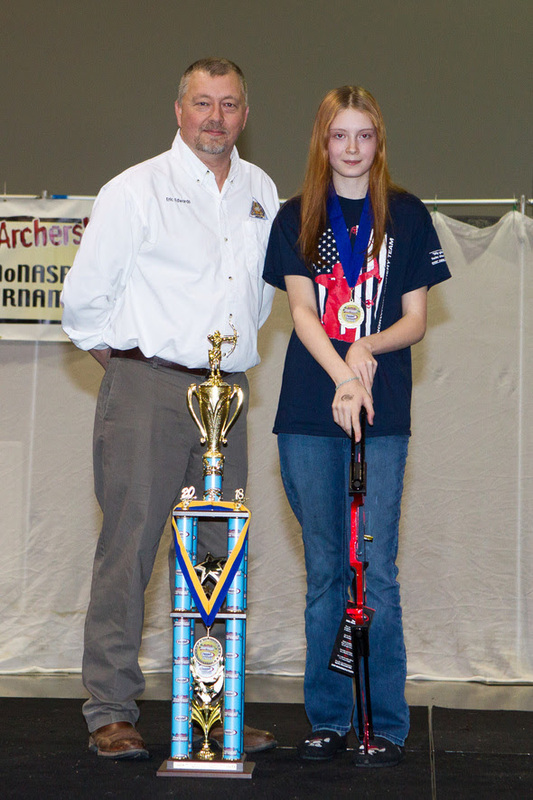 Congratulations to Norwood R-1 sophomore Savannah Sadler for being the overall top archer at the 2018 MoNASP State Tournament, along with being the top high school female archer. She is pictured (right) with MDC Outreach and Education Coordinator Eric Edwards. Tenth annual Missouri National Archery in the Schools Program state tournament sends hundreds to nationals. Learn more about MoNASP at mdc.mo.gov/monasp. MoNASP and JOAD are great programs for young archers. It's great seeing it continue to grow.